Given the freedom that comes with being a freelancer, why do some people decide to return to full time employment? The reason I hear most often from clients is that they miss that steady paycheck, or they missed the more structured life of an employee. These are good reasons for employers to scoop up these talented folks, but they often don’t. In fact, many employers shun candidates who exemplify the skills and determination to work for themselves? I think there are some similarities with the reasons many military veterans are challenged to find employment in the corporate world, and that is that hiring managers avoid what they don’t understand; never having been a freelancer (or a soldier) themselves, they can’t quite see how these candidates would fit in. And don’t get me started on my colleagues in HR, many of whom lack the imagination to parse a non-traditional resume. So, How Can Freelancers Get Hired Full Time? Network ok, this is true for everyone, but critical for freelancers. Work those connections and get as many people advocating for you as possible. Avoid HR whenever possible, seek out the hiring manager and present your value proposition. Think twice before calling yourself a consultant when you’re actually a freelancer Some employers read that as code for “unemployed and couldn’t figure out how to address the employment gap. Read the article I wrote on the subject for the Wall Street Journal. Be specific Tie in specific, tangible achievements to requirements your target employer is looking for. Don’t get discouraged. 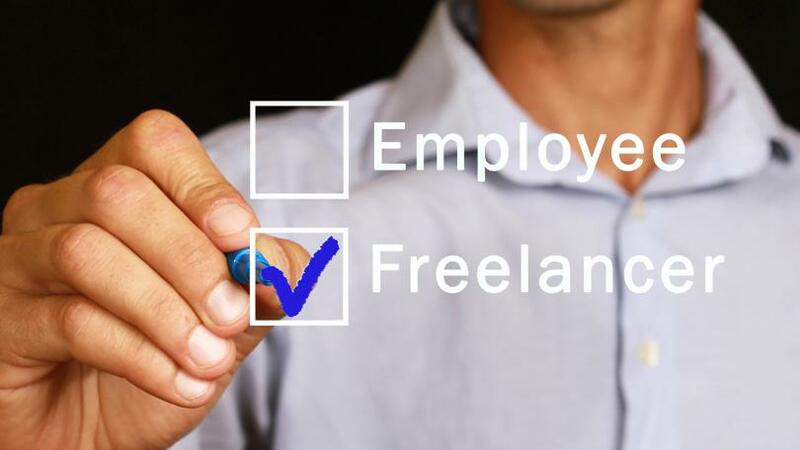 Freelancers looking for full time jobs can take heart from this interesting intel from the Harvard Business Review, which quoted a study by Gustavo Manso at the University of California, Berkeley who found that self-employment does pay off financially, “but not in the way entrepreneurs might expect. The financial benefit doesn’t usually come from the entrepreneurship itself, but in the form of higher wages when the entrepreneur returns to the workforce.” Manso’s research concluded that former “entrepreneurs earn approximately 10% more than salaried workers with similar characteristics” when they return to the corporate world.